We’re here at AWS re:Invent 2018, following all the latest product announcements for you. Here are some highlights from the past day’s news that we’re super excited about, and want to share with you. For applications dealing with high performance computing (HPC), machine learning, and big data analytics, there is a new EC2 C5n instance type, based on AWS Nitro. C5n compute optimized instances feature 100 Gbps networking throughput, and enable scale-out of distributed workloads. C5n instances offer 100 Gbps of network bandwidth, providing a 4x improvement over existing C5 instances. This bump enables applications to scale up or out even more effectively. This higher network performance also allows for accelerated transfer to S3, minimizing data ingestion time, and the improving end user experience. Read more here. 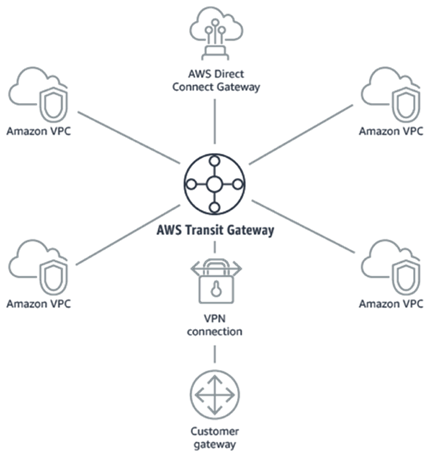 Transit Gateway is a new hub-and-spoke network topology service that allows you to interconnect your virtual private clouds (VPC) and on-premises networks. This one’s all about simplification and centralization of management. You can connect your existing VPCs, data centers, remote offices, and remote gateways to a managed Transit Gateway, with full control over network routing and security. You can do this even if your VPCs, Active Directories, shared services, and other resources span multiple AWS accounts. Read more here. This is a fully managed service that enables file transfers to S3 using the Secure File Transfer Protocol (SFTP), otherwise known as FTP over SSH. AWS Transfer for SFTP effectively eliminates the need for any self-managed SFTP servers, and provides built-in disaster recovery via S3’s native multi-AZ architecture. Fully compatible with the SFTP standard, AWS Transfer for SFTP can be used in any third-party integration where you might use a traditional SFTP server. It’s also fully integrated with AWS IAM, for centralized security management. For unknown or changing access to objects stored in S3, the S3 Intelligent-Tiering storage class is designed to optimize costs by automatically moving data to the most cost-effective access tier, without impacting performance or operational overhead. It works by monitoring access patterns of objects in S3, and then moving the ones that have not been accessed for over 30 days to the infrequent access tier. If an object in the infrequent access tier is accessed, it is automatically moved back to the frequent access tier. Read more here. Firecracker is a new virtualization technology that makes use of KVM. You can launch lightweight micro-virtual machines (microVMs) in non-virtualized environments in a fraction of a second, taking advantage of the security and workload isolation provided by traditional VMs and the resource efficiency that comes along with containers. This is the same underlying technology that powers both the AWS Lambda and Fargate services. Firecracker is an active open source product, written in Rust, and is available at https://firecracker-microvm.github.io. That’s it for today. Stay tuned for another AWS re:Invent 2018 release update tomorrow!